WHY BLACK FOLKS TRAVEL TOO? We just returned from a trip to Turkey and we can’t say enough about how much we enjoyed it. We’d visited Istanbul briefly during a pre-cruise stop in 2011 when we’d only had 3 hours to pay short visits to the Blue Mosque and Hagia Sophia. That whirlwind tour whetted our appetites and we knew we wanted to return to experience more of that vibrant city. Recently we had the chance to do just that. The 400 year-old Sultan Ahmed Mosque (Blue Mosque), with its six minarets, is one of Istanbul’s most recognizable structures. Although we had been there before, we were again captivated by the beauty of the blue tiles and the lush red carpet. Even though it is a popular tourist site, it continues to function as a mosque today. Located very near the Blue Mosque, the Hagia Sophia is another awe-inspiring must-see mosque. It was originally constructed as a church between 532 and 537 so it is also rich in history. As one of the greatest surviving examples of Byzantine architecture, the interior is decorated with beautiful mosaics, marble pillars and elegant chandeliers. It is currently under renovation, so large areas were obstructed by scaffolding, which took away from the majesty of the interior. 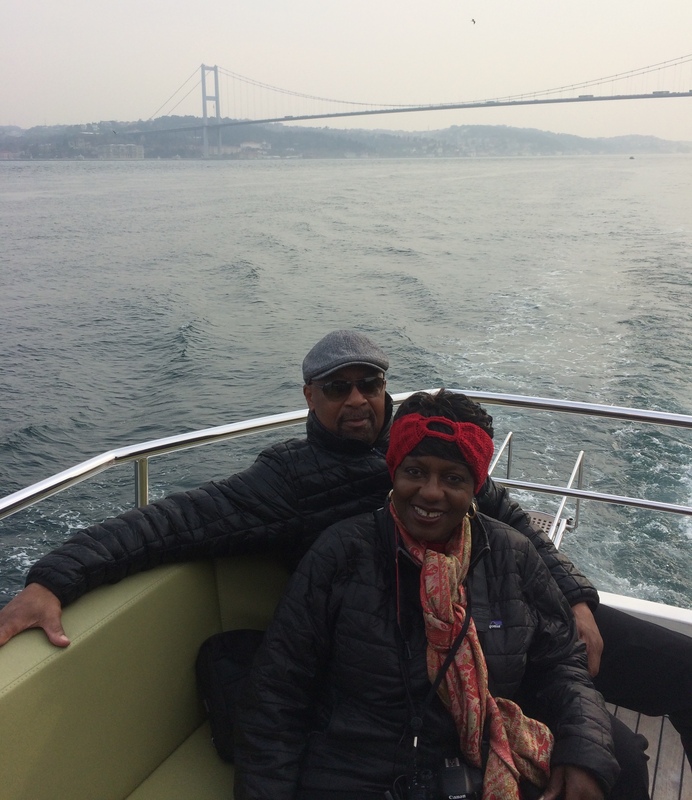 One of the highlights of our trip was taking a cruise on the Bosphorus, the beautiful waterway that divides Istanbul since it sits on two continents, Europe and Asia. It is one of the world’s most strategic waterways, connecting the Black sea to the Mediterranean. One of it’s most iconic sites is the Bosphorus Bridge, a beautiful suspension bridge that reminded us of San Francisco’s Golden Gate Bridge. It’s a busy waterway that offers several sightseeing options including ferries and dinner cruises. We chose to take a small yacht and spent several hours admiring the spectacular buildings, palaces and scenery. 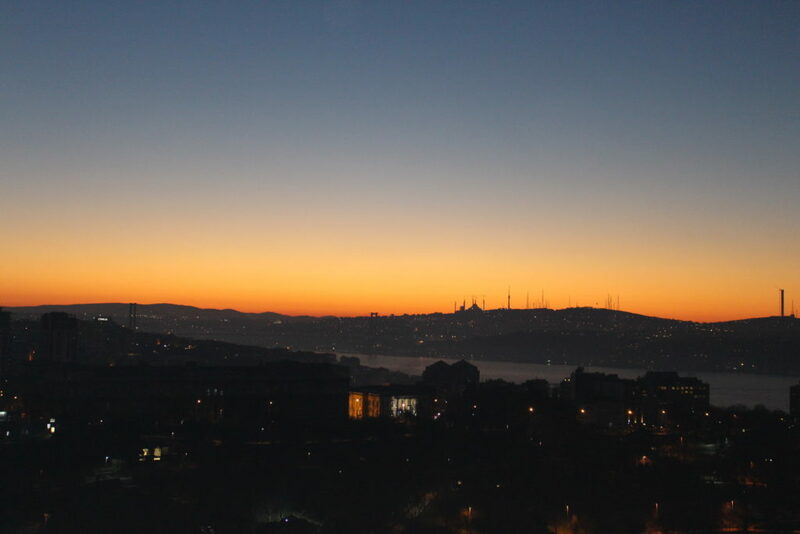 In Istanbul we stayed at two different hotels and both had rooms facing the Bosphorus. Sitting on a balcony, sipping tea and listening for the call to prayer was a great way to begin a day. 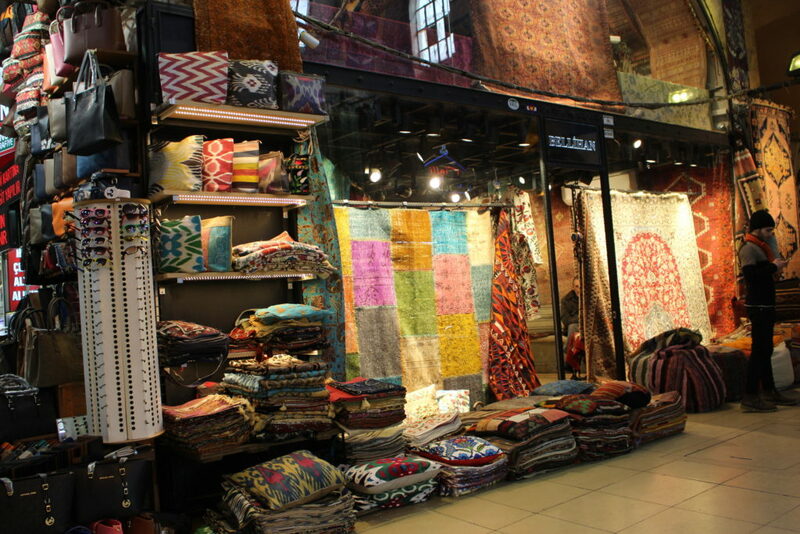 No trip to Istanbul would be complete without spending time in the Grand Bazaar. Built nearly five centuries ago, with more than 4000 shops, it is one of the largest and oldest covered markets in the world. Originally built to sell textiles the offerings have expanded to include a myriad of other goods including jewelry, hand-painted ceramics, carpets, embroideries, spices, antiques shops and many other Turkish delights. Visited by between 250,000 and 400,000 visitors daily, it is the ultimate shopping experience. Before entering I wondered how pushy the vendors would be. They were definitely insistent, but not overly aggressive. 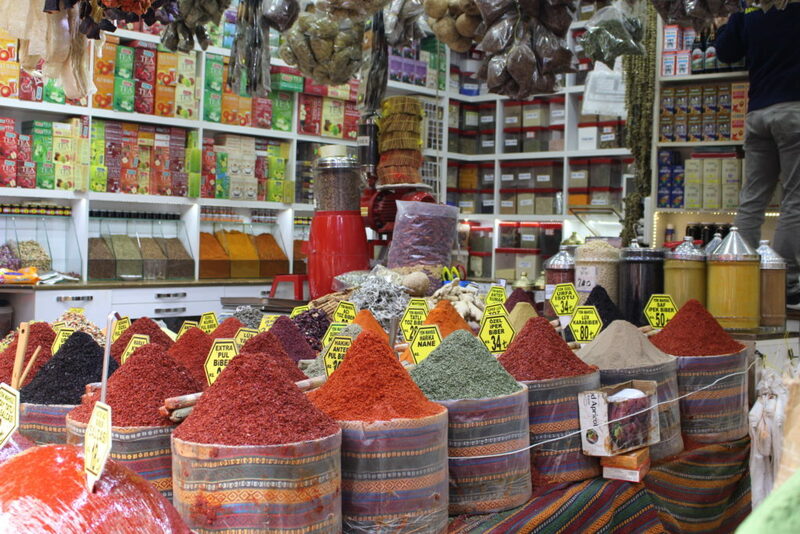 We also spent time at the Spice Bazaar the second largest covered shopping complex after the Grand Bazaar. It has a total of 85 shops selling spices, tea, Turkish Delight and other sweets, but also jewelry, souvenirs, dried fruits and nuts. The sights, sounds and aromas are truly intoxicating. The spices we brought home have definitely enhanced the meals we cook. 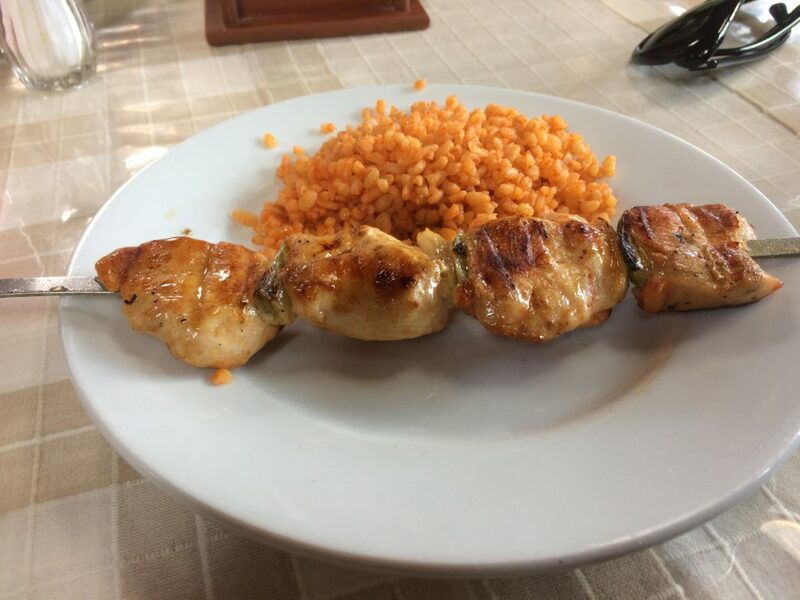 Delicious, delectable, delightful, divine…these words only begin to describe how good the food is – all over Turkey. As a foodie, I made a point of sampling culinary delights all over the country; From Istanbul to Kusadasi to Canakkale, to Pumakkale. From fine dining, to street food everything we ate was fresh, well-prepared and delicious; much of it organic and locally sourced. Everywhere we went there were street food options – roasted chestnuts, roasted corn on the cob and my favorite was in Canakkale. We’d just finished seeing the Trojan Horse when we came across a cart that sold cups of roasted, buttery corn kernels. Hot, tasty and delicious. On our last night in Istanbul we had the fine dining experience of a lifetime at the imperial palace section of the Çırağan Palace Kempinski., a 5 star hotel that is absolutely regal. It was built in 1863 by Ottoman Sultan Abdülaziz and it still reflects the ultimate luxury of a genuine Ottoman Palace. We dined at the elegant and award-winning Tuğra Restaurant, located on the first floor of the historic Palace, and had the ultimate Ottoman dining. 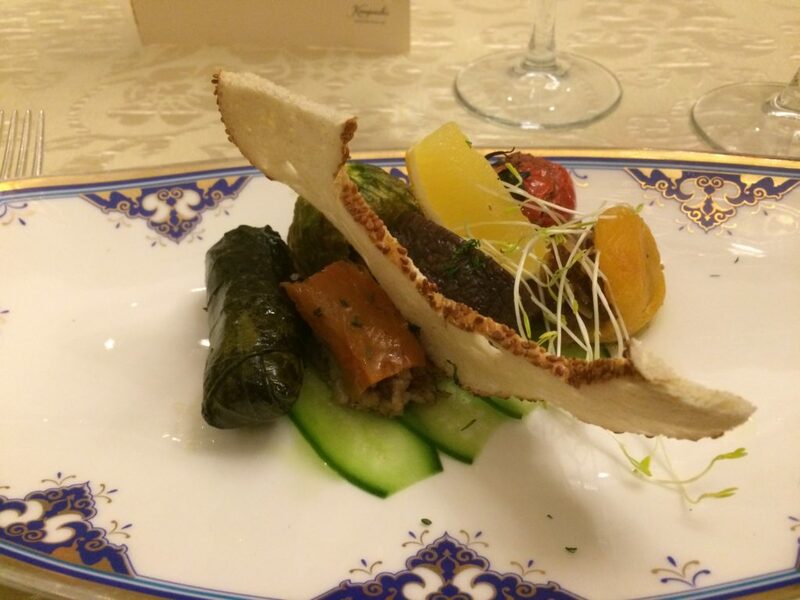 Each delicious course, work of art, was presented with a descriptive introduction and all the pomp and circumstance befitting sultans and their guests. We dined like royalty. Although one of my travel goals is to eat my way around the world, I may not be able to circle the globe without returning to Turkey. Carpet weaving represents a traditional art, dating back to pre-Islamic times and some of the finest examples can be found in Turkey. So visiting the Sultanköy carpet gallery was a real treat. 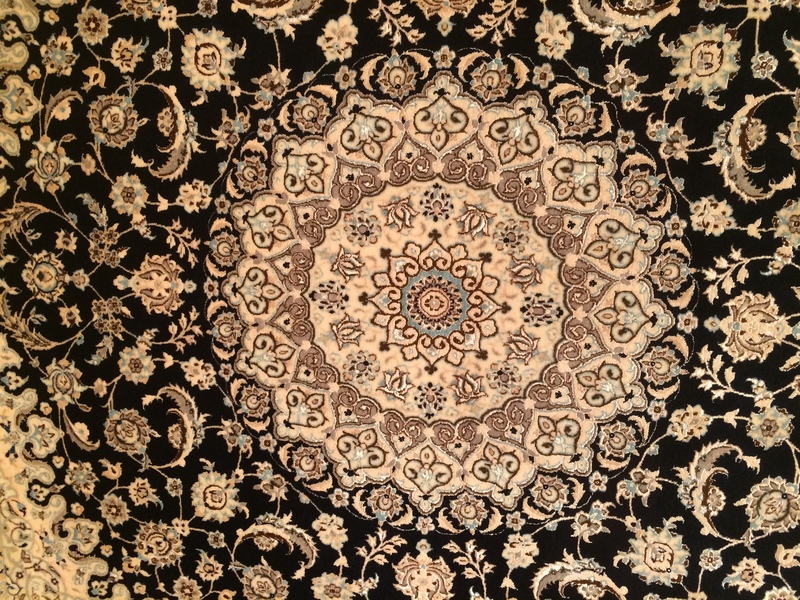 In addition to admiring the beautiful carpets we had the opportunity to learn about their production, including dyeing and weaving techniques. We’d visited a similar factory in Selçuk during our 2011 visit, so we knew what to expect. We also knew that we did not want to go home empty handed, so after an intense round of bargaining, a purchase was made. 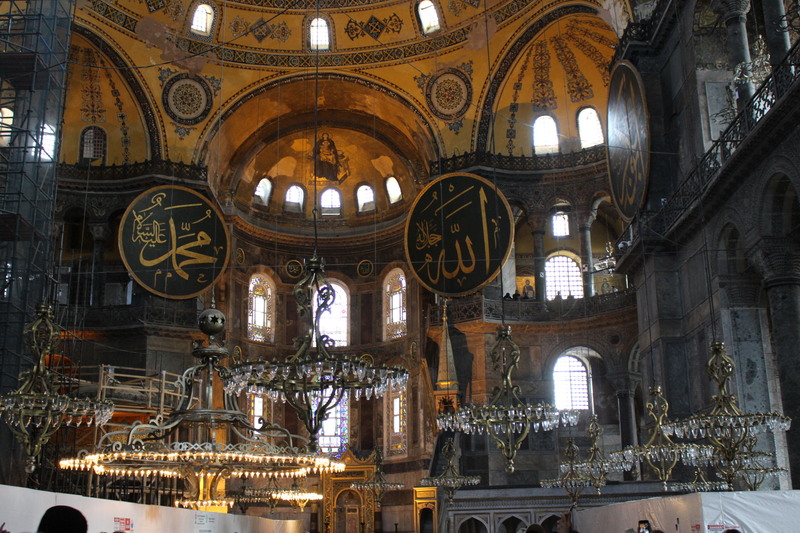 We expected to visit sites like the Blue Mosque, Hagia Sophia and Grand Bazaar – and all were amazing. But they were only the beginning. 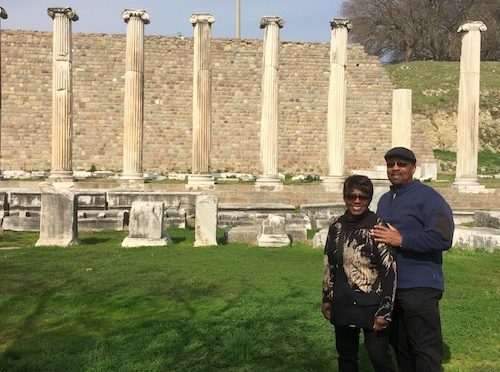 Each of the historical sites/ruins revealed layer upon layer of civilizations past, complete with massive theaters, towering columns and even latrines. It really felt like we were walking back in history. Since none of them were very crowded we were treated to what felt like private tours. That was definitely the case at Alexandria Troas, where the site was opened up just for us; talk about VIP treatment! 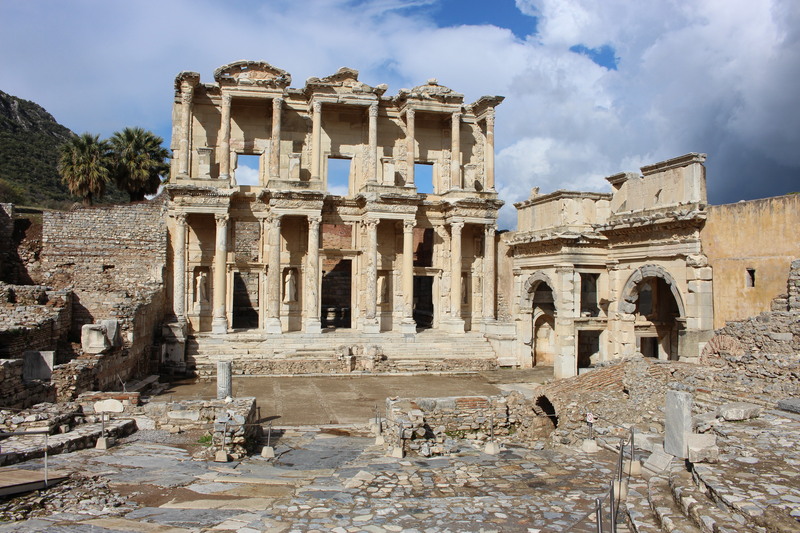 My husband and I had visited Ephesus in 2011 (with throngs of other tourists), so we knew what to expect. But on this visit we could see how much more of the ancient city had been excavated. Visiting the sites requires lots of walking – up to a mile or more – and a pretty high level of fitness since much of the terrain is uneven. The fact that many of the sites had added wooden walkways made it easier to get around. Everywhere we went there were LOTS of dogs and cats. In the city, in the countryside and even at the historical sites animals were everywhere! They were domesticated, healthy, well fed and quite friendly. 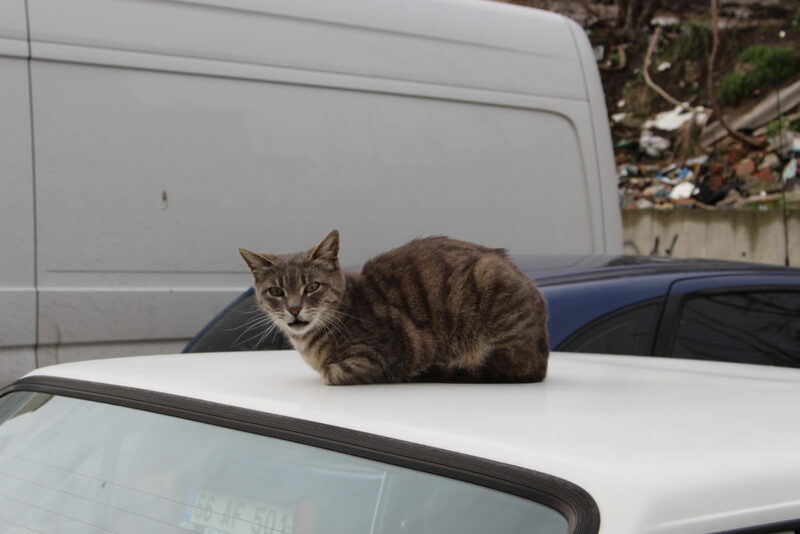 Turkey is definitely a nice place for animal lovers. FEAR FACTOR Like many countries around the globe, Turkey has been affected recently by several violent events. So some tourists have taken it off of their travel destination lists. Some of our friends and associates questioned our decision to visit. However, we found no reasons to be fearful and felt completely safe at all times. Don’t get me wrong, I’m not a reckless traveler and would not venture into a dangerous situation. But we didn’t feel any more at risk than we’ve felt at home in the U.S. It is still high on our list of favorite destinations and we plan to return in the very near future. Beautiful pictures, I have a 14 hour stop over in Instabul. Is it safe to actually go out and explore? I am a bit nervous. Do I need a transit visa for 8 hours? I’m not sure about the visa requirement for a short visit. However we were able to apply for our visas online quite easily. We felt quite safe, but were with a group and a guide. 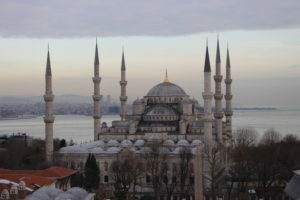 I’d suggest pre-booking a short city tour online where you could hit the main attractions like the Blue Mosque and Hagia Sofia, maybe the Grand Bazaar. Are you traveling solo? Not sure about the safety for solo travelers. But it felt as safe as other big cities we’ve visited in the U.S. and all over Europe. Have a nice trip! Robert & Adrienne Lee on Show Me What You’re Workin’ With!